All The Way Live Designs is a premier custom apparel company located in Tampa, FL. We specialize in custom uniforms, apparel and accessories for teams, individuals and corporate events. 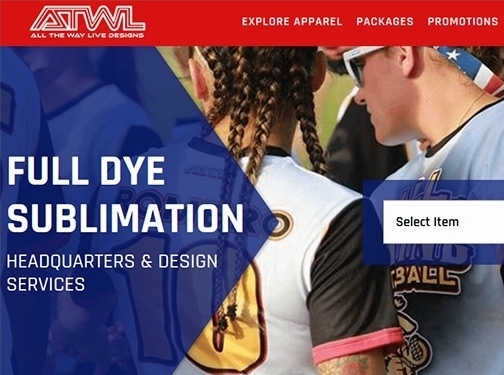 We specialize in sublimated, full dye, sub dye, custom jerseys for a variety of different sports teams including fast pitch, softball, slow pitch, baseball and much more. US (Tampa, FL) based business providing custom uniforms, apparel and accessories for teams, individuals and corporate events. Website includes browsable catalogue you can order from, delivery and returns information, "meet the team" page, testimonials, associations, full contact details.